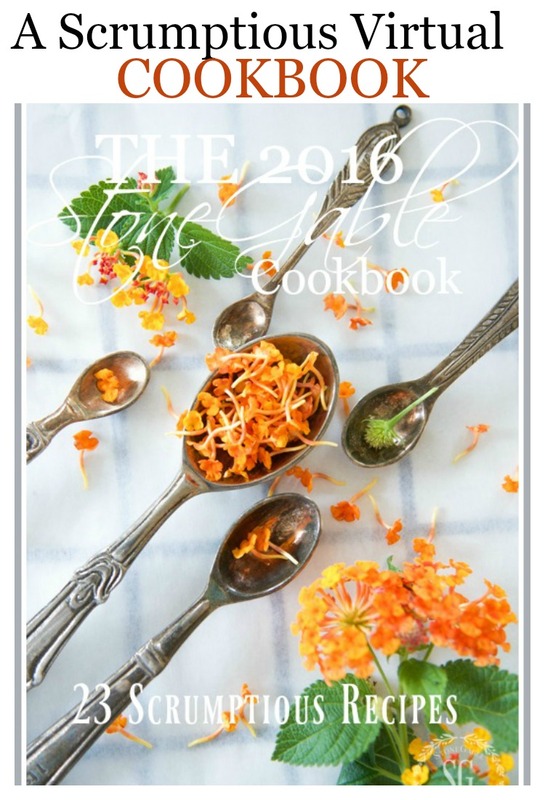 Now that 2016 is almost behind us I’ve compiled all the StoneGable recipes of 2016 in one virtual cookbook. This cookbook is filled with kitchen-tested, StoneGable approved dishes that are not only delicious ( I say that so often when I talk about my recipes… not bragging, just truth!) but are quite easy to make too. I only post my very favorite and most successful recipes on my blog so you are getting the best of the best from my kitchen!Make sure to add this post to your Pinterest board so you have all these recipes when you need them. 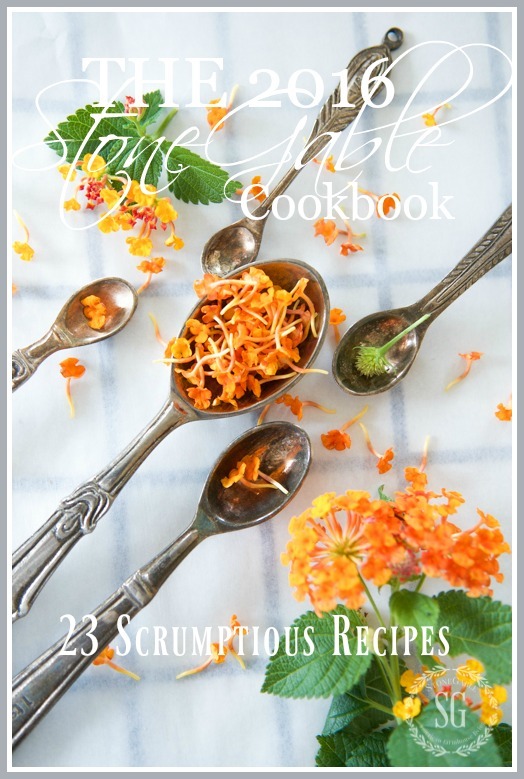 I created this cookbook just for you! And to make it easy to find all of my 2016 recipes. 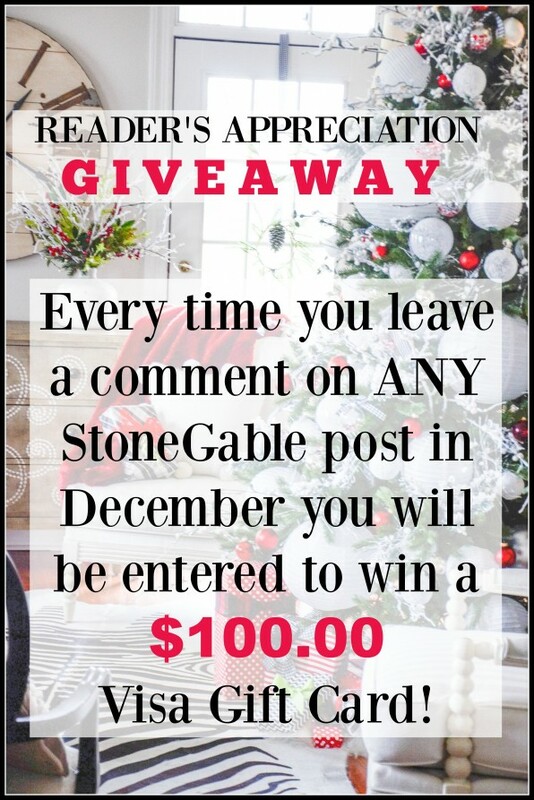 Make sure to enter to win… there are only a few more days this month! I read cookbooks like romance novels! I hope you will enjoy reading this one too! I’m a guac fan! Especially when the avocado and the rest of the ingredients are super fresh. 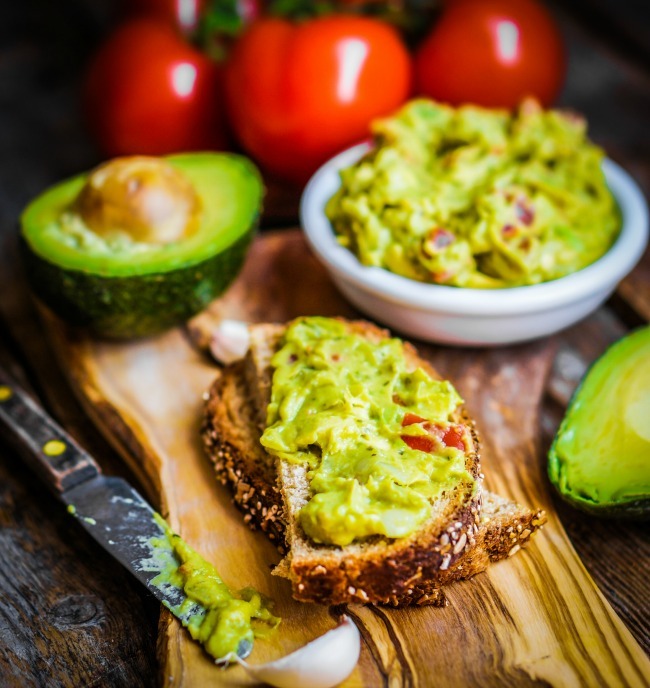 Do you make homemade guacamole? You really should try this recipe! I had this yummy brisket for Christmas dinner! It’s a great slow cooker recipe when you have a crowd or need a company worthy meal and don’t want to fuss. It will only look and taste like you did! We have rhubarb growing in our raised bed garden. It’s a delicious, tart vegetable that eats like a fruit. 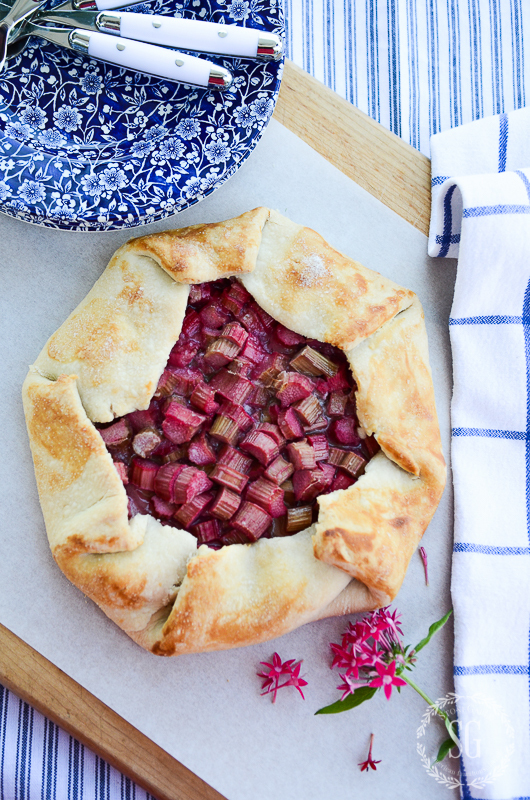 Rhubarb is the perfect pie filling, jam and sauce. I first had it at my paternal Grandmother’s farm in Missouri when I was a little girl. It’s tangy and has a strawberry kind-of flavor. Easy peasy and so so fun to make and eat. Start with refrigerator pizza dough in a roll and see how it transforms into these sweet donut balls. I make this on Shrove Tuesday… the day before Lent. One of my son’s favorite dishes. 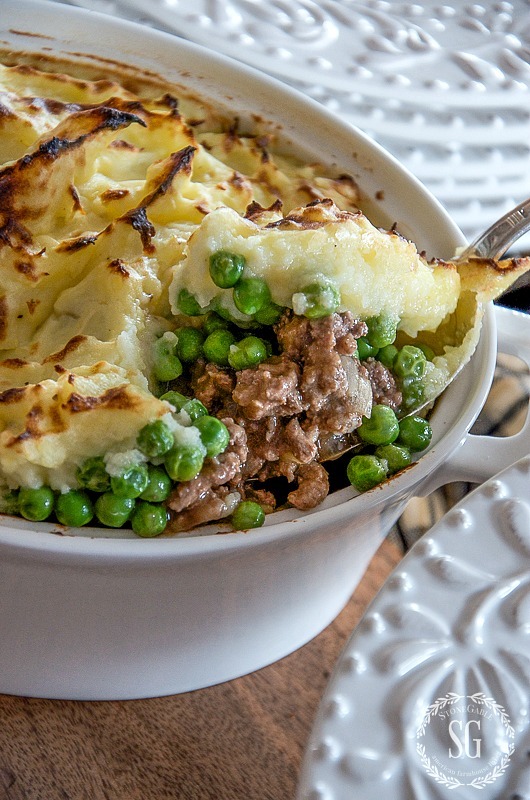 Shepherd’s pie is the ultimate comfort food… and a one dish meal! I’ll tell you a little secret… I hate peas! So if you are not a pea fan you can use any other hearty veggies like carrots or pearl onions. If you want to gourmet it up, use ground lamb, round steak, cremini mushrooms or some red wine. I think presentation counts! 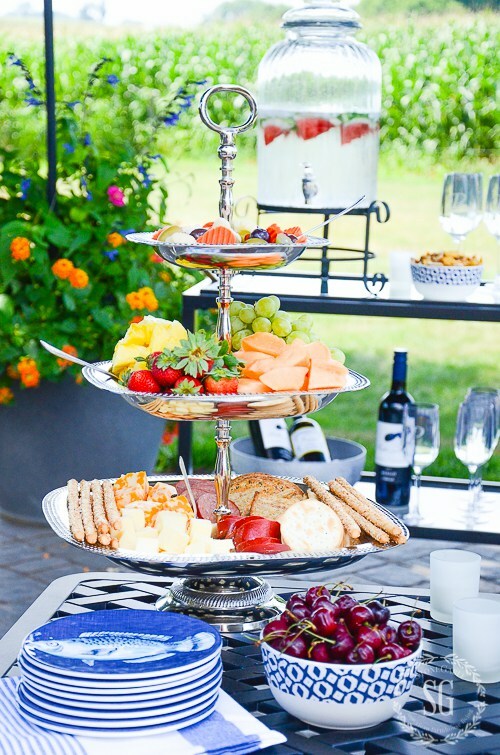 Elevate (pun intended) a simple cheese tray into something so so pretty! 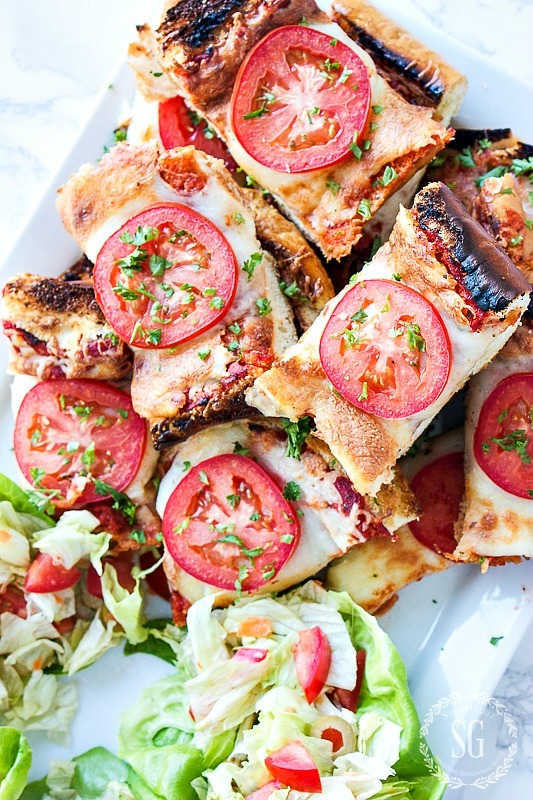 Any time I serve french bread pizza I get rave reviews. This is such a universal favorite. Don’t tell anyone just how easy it is to make! 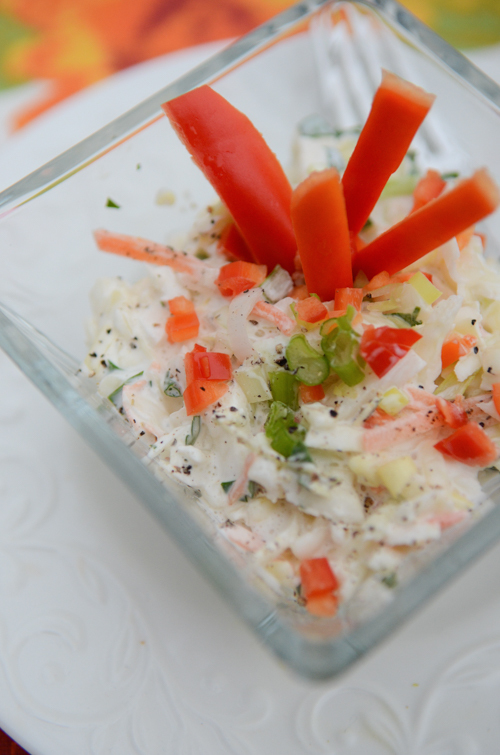 Coleslaw gets a bad rap. 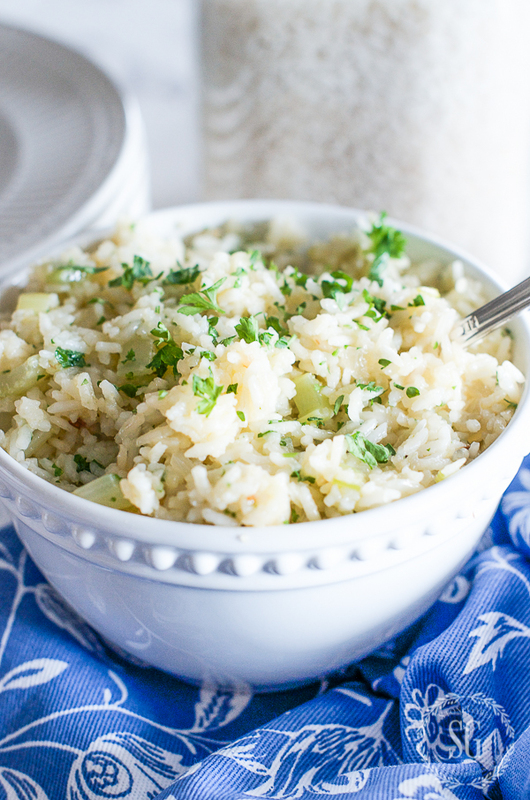 This colorful side dish is creamy and crunchy and so good! My Nani’s rice is not your regular rice dish. My grandmother made this and I’m sure her mother did too. I would say if you try one thing in this post, this should be it! Who doesn’t love a good clam chowder. “Nuff said! I love a dish or dessert that has a WOW FACTOR. It is beautiful and totally amazing to eat. 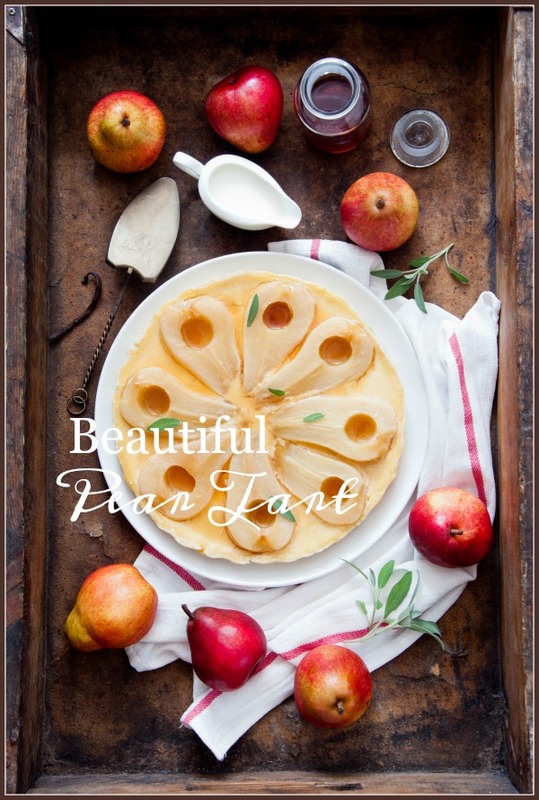 This pear tart has that special WOW FACTOR! Here’s where delicious (yes, I know I say that word a lot) meets good-for-you. And you won’t believe how easy it is too. I have tons of containers of this soup in my freezer! 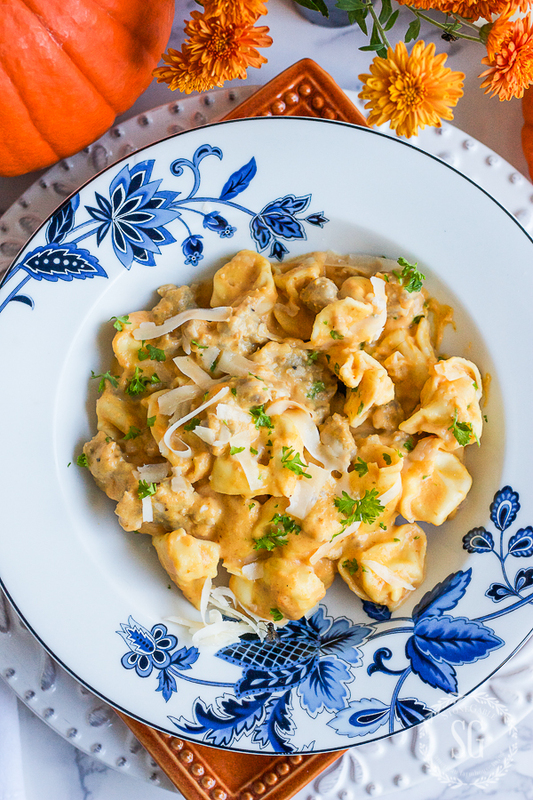 It does not need to be fall to enjoy Tortellini with Sausage and Pumpkin Parmesan Cream Sauce. It’s perfect any time of year… and company worthy too. 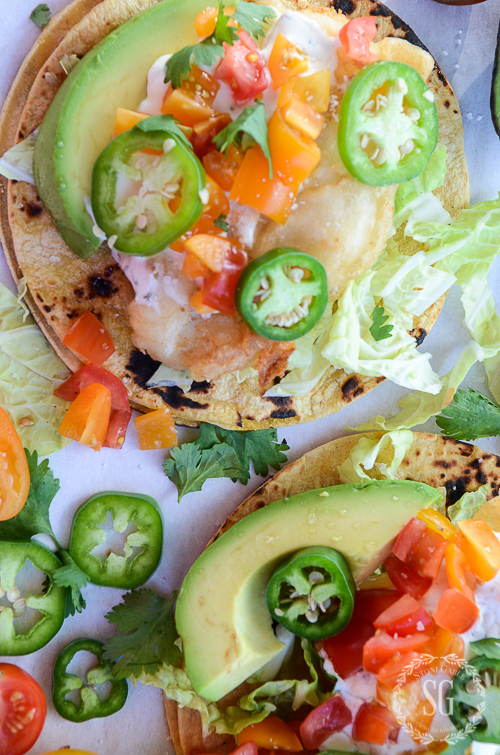 Oh, these are killer fish tacos! Filled with crunch and lots of fresh flavors. YUM-MMEEEE! 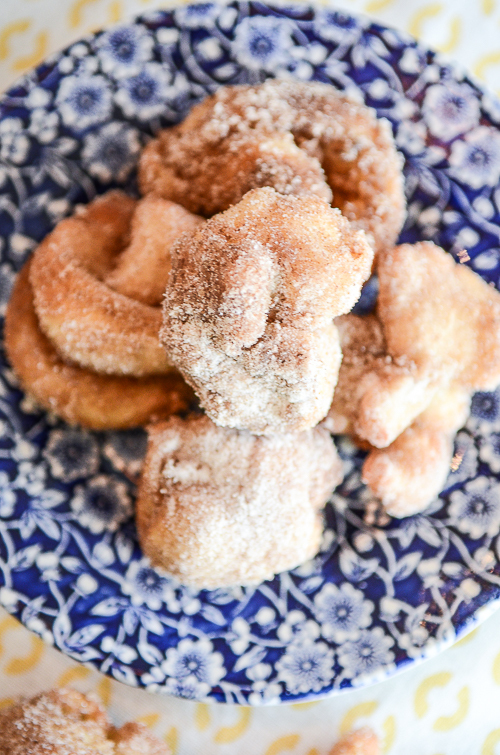 These bites are quick and easy and a must-try! Serve them with a good vanilla ice cream. 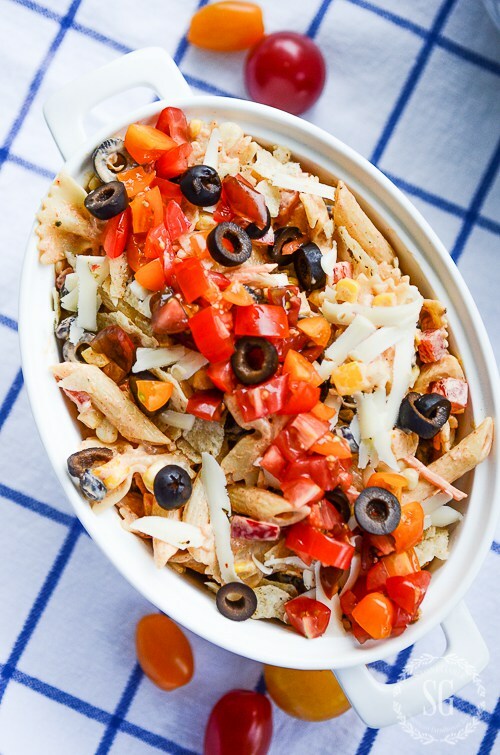 If you want a great twist on pasta salad try it southwest style. LOVE the crunchy nachos on the top! This gingersnap dough can be frozen in a roll and cut off to make homemade cookies whenever the urge strikes you. 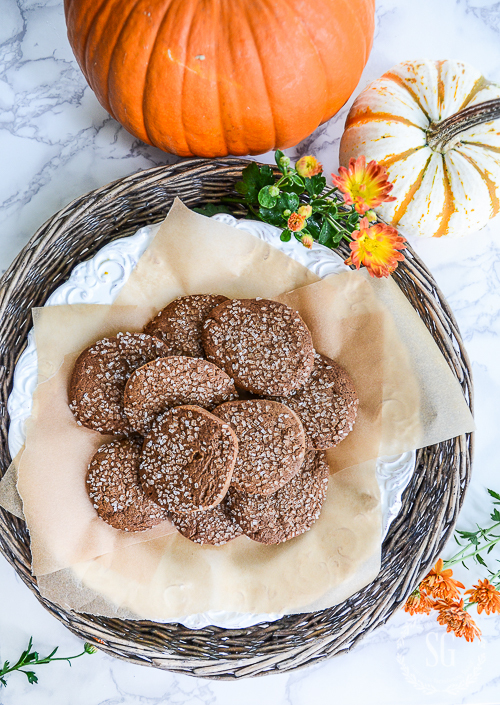 Gingersnap cookies are best eaten right out of the oven as soon as they cool. Here’s another food that can be frozen and baked. 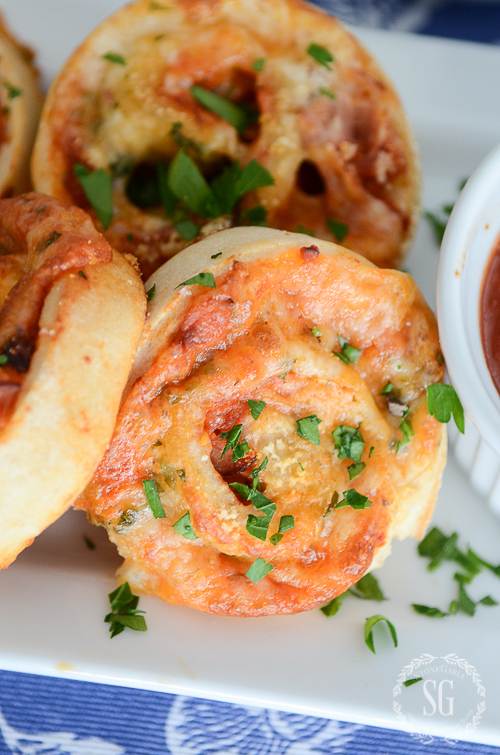 I keep pizza roll ups on hand for appetizers or lunches. My herb garden grow riotous! And I preserve the wonderful taste of summer to use all year long. 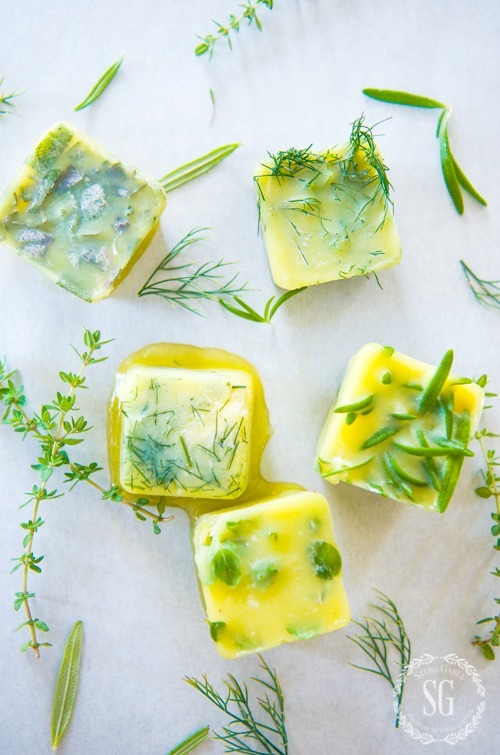 I’ll show you how freeze most herbs to add fresh flavor to you dishes. Another must0-try! If you are a pasta lover you’ve gotta try Tomato And Red Pepper Parmesan Cream Sauce. There are a few tricks to make perfectly cooked salmon. Moist, flaky and filled with mild flavor. 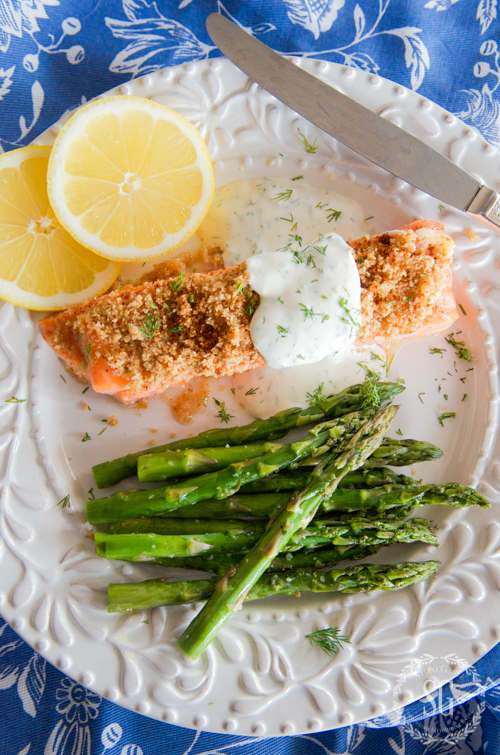 This recipe will yield you no fail salmon! I think everyone should learn to make a frittata. It can be eaten for breakfast, lunch and dinner! 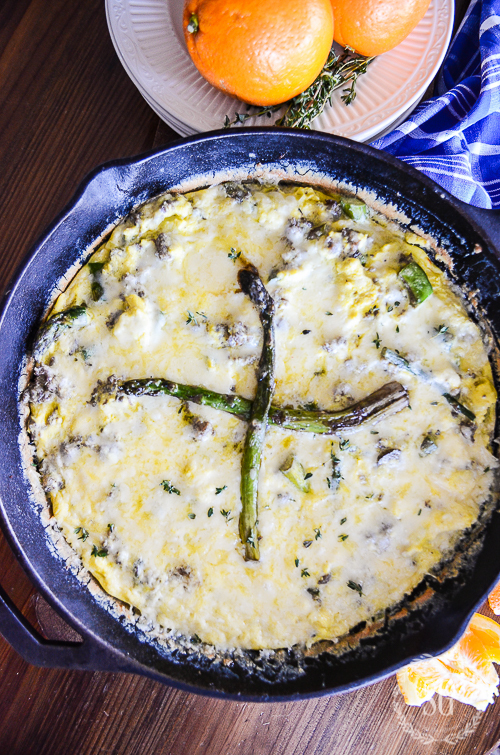 I love frittatas because you can add refrigerator leftovers to eggs and get an amazing meal! I tried for years to make a Rugelach cookie that was worth eating and posting. This is it! I hope you will save this to your Food or Recipe Pinterest board. Then you can pull up this virtual cookbook when you want to make a StoneGable approved dish! Did you know that I have over 2,300 recipes on my Pinterest “Foodie Fin” board? You can follow me HERE and see all of them. Could you help me find your recipe for Mac and Cheese? I’ve looked but can’t find it! Thanks! LOVE all your recipes! Made the Apple Croissants today for a brunch we were invited to……major hit! Have a blessed New Year Yvonne! Thank you so much for this wonderful cookbook! Happy New Year to you Yvonne! Love your Blog. Even though my husband is vegetarian I have been able to adapt some of your receipies. Thank you for a great site. 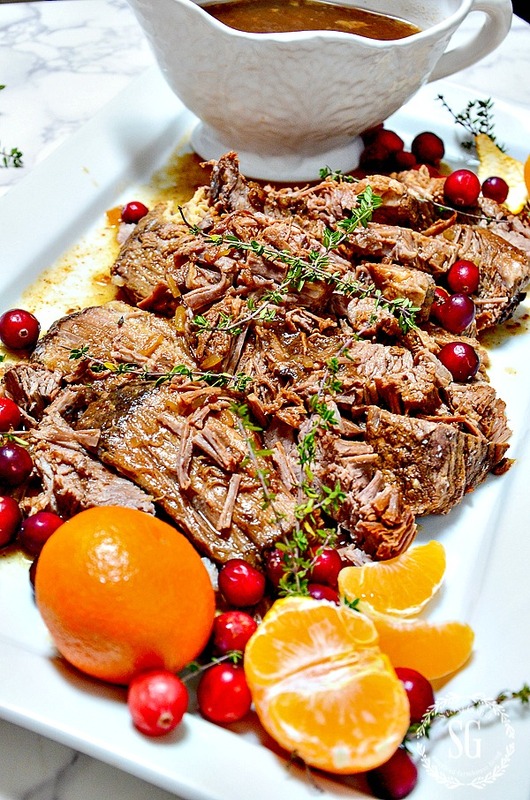 As many of your readers commented, your beef brisket was the hit of our family’s Christmas dinner. Encouraging you to continue your recipes in you blog. know that I made the Brisket for my Bunco girlfriends .. .I host the Christmas luncheon at my home every year. Thank you so much. Sending wishes that 2017 is a wonderful year for you and yours. Jody, I’m thrilled your Bunko friends like the brisket. And thank you for passing my site along! I really appreciate it! I made your Holiday Brisket for Christmas. The presentation was so lovely that it even made an impression on our 25 year old son, who commented about how fancy it was! It was so very easy, tender and tasty. Thank you for the inspiration! Thanks for letting me know, Donna! Happy New Year! Love..love…love your blog! Thank you for all you do! Happy New Year! Thanks Yvonne. I printed almost all of these and can’t wait to try them. I’m really interested in the low carb recipes you mentioned being on a Pinterest board. I’m not skilled in PINTEREST however, so will have to play around till I can figure it out. thank you Yvonne for going to the trouble for us. I have pinned your recipe book and plan on making the chowder tomorrow. I made your frittata and it was delicious. Perfect for a cold winter morning. Hope you are on the mend. Keep your spirits up. Have the Happiest of New Years ? Your recipes are the best! I made the holiday brisket for a dinner party and it was delicious! Also used your sugar cookie recipe and they turned out really cute! They all look mouth watering! Thanks for sharing! Thank you for the virtual cookbook! 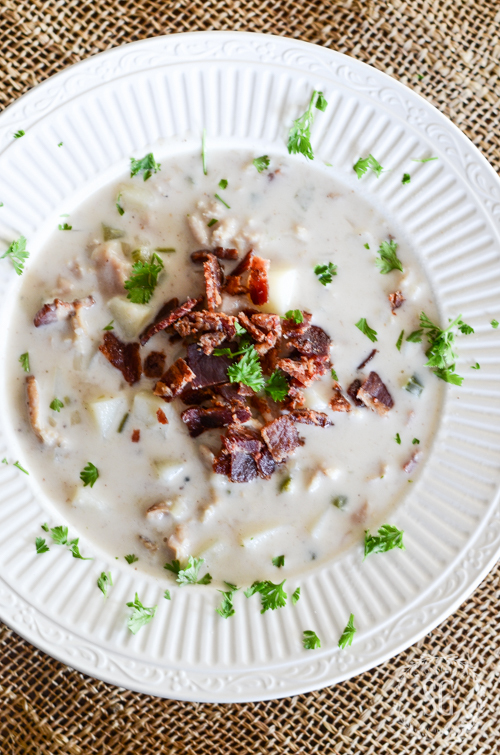 I just printed the Clam Chowder and can’t wait to make it! I love pasta salads so I’m going to try the Southwest pasta salad recipe and also the Frittata recipe. Thank you ! Thanks so much! I needed a few new things to bring a change. These look wonderful. Unbelievable!!! The pictures say it all. I have made many of your recipes and will continue to make more as most of them are simple and delicious!! Thank you!! I am a true fan of many of your recipes, sorry I saw this so late, or should I say early!! Peace and blessings for a safe holiday! At your recommendation, I made the holiday beef brisket for our Christmas dinner. It was absolutely delicious! The other recipes you have shared with us look wonderful too! 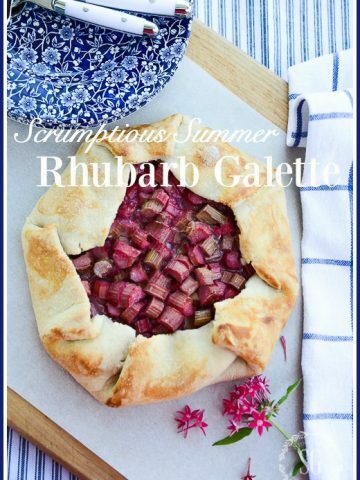 I am especially looking forward to trying the Rhubarb galette this summer. I planted some rhubarb plants last summer, and they should be ready for picking this year. Thanks again for sharing. I have made your brisket recipe using a chuck roast. It’s delicious. I also use the leftovers to make a hearty beef vegetable soup. Love it! and so easy! All of the recipes look mouth watering! Thanks for sharing!! Love the compilation of recipes from 2016! Happy New Year, Yvonne! Hope 2017 is a wonderful year for you and your family. Your recipes are always delicious. And your decor ideas are beautiful. I’m wondering when/if you might publish a Stonegable cookbook or home decor book. You have so many great ideas…I see several volumes ahead!! Your recipes are such a gift! Thank you. Happy New Year and happy cooking ?. Thank you for this, Yvonne! Very kind of you! Hope you are healing well! Wow Yvonne!! Thank-you so very much for the belated Christmas gift of your yummy recipes!! I had already pinned some of them, and today I pinned more. I think I now have all of them except two or three. I’m like you as I have always enjoyed reading cook books, yet I’m not fond of cooking. I doesn’t help that I live alone either. It’s difficult to cook for one person. I do, however, enjoy baking. So, thanks again. Your pictures are fantastic!! Happy New Year… Looking forward to seeing what surprises you have up your sleeve for your readers this coming year!!! Thank you, Yvonne, for the delicious recipes in recipe book form. 🙂 I love your website and dream of someday being able to decorate like you. I know the website is a lot of work, but you do a FANTASTIC job and it is appreciated by your readers. I’m so glad that you’re willing to share your faith….we do have that in common. I wish you a happy and blessed 2017! I love starting the new year off in search of “new family favorites.”. Thanks for posting. Thanks! Love your blog! Happy New Year! What a nice variety of recipes! Yvonne, your recipes are so delicious! Thanks, so much, for posting them! We sure appreciate all you do for us! I am amazed at all the things you do for all of us who read each post. We thank God for you, Yvonne, and the special person you are. May you be blessed with a wonderful New Year filled with lots of health and happiness! Yvonne, thank you for sharing your recipes! You are so caring and giving and have the best blog out there! Looking forward to 2017 with you. Happy New Year! Thank you for posting this. Love having all your recipes! Your pictures are awesome! I am definitely going to add some of these to next week’s menu planning. I appreciate all your hard work Yvonne and I am anticipating all your post in 2017! Happy New Year to you and your family! Thank you for the great recipes, for free!! When I saw it was a virtual cookbook I thought I would have to pay to view it. I have made a couple of your recipes and loved them both!! Happy New Year!? I’m so glad you like the FREE cookbook! Thank you for this! I’m so excited! 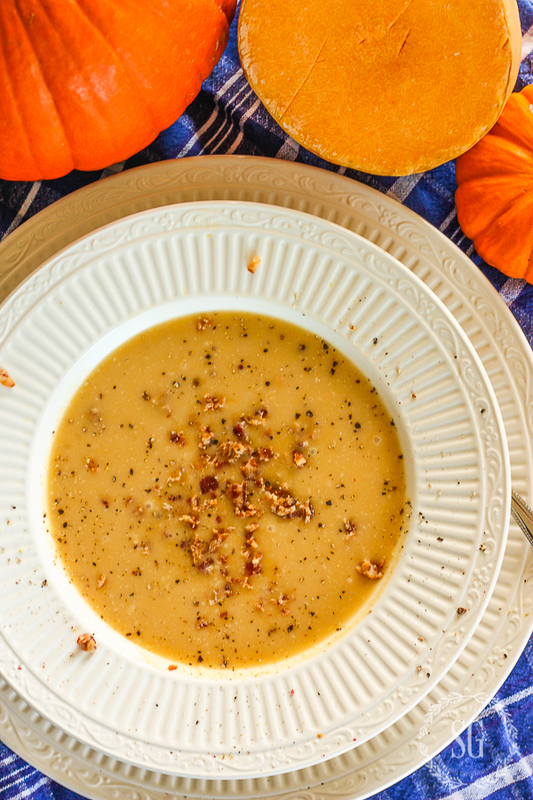 I plan on the butternut squash soup tonight! I am wondering about the tortellini sauce…how would you puree the tomatoes and peppers without the special machine? Would a food processor work as well? Also, I am amazed at how you have been able to keep up with everything after your recent surgery. I was really loopy for awhile after my different surgeries I had…you are an inspiration! This is so convenient. I’ve pinned it! I do enjoy your recipes, Yvonne. Thanks for gathering your recipes and sharing them! I can’t wait to try Nani’s rice and the frittata and others! I made your beef barley soup when you shared it and my family loved it! Looking forward to new recipes in the new year! Happy New Year! karen…. Best Christmas present ever. Already tried some of these. Thank you so much Yvonne! Thank you for all these wonderful recipes. I have tried a few of them and they are delicious. I hope you and your family have a wonderful New Year. I loo forward to seeing what 2017 brings for all of us. Excited to see what you send our way in 2017!!! I have tried a number of these, and just picked a few more to try before the end of the year. I expect them to be delicious, just as the other always have been. Thank you for making them all easily available!! I love that I will now have all of your yummy recipes in one place! Thanks! You are such a generous woman! Thank you for sharing your delicious recipes with us. Sounds fantastic….love your many recipes and beautiful decors….have a safe and blessed 2017…..
How very thoughtful of you Yvonne!! They are sound yummy!! What a great idea Yvonne! Thank you so much! Thank you for compiling these recipes in one place. I will definitely be trying some of them soon! Yummy. Cannot wait to try more of your delicious cooking. So happy to have these recipes in a collection. Thank you. Thank you, for the ‘Pin It’ Cook Book. Now, I’ll have a place to add other recipes from Stone Gable. WOW, what a treasure. These look so appetizing. My husband’s favorite are gingersnap cookies. I love your blue and white dishes. I have these. At a B&B the hostess had the original antique dishes. I just had to have them. Just printed 3 of them. Can’t wait to try the rice. 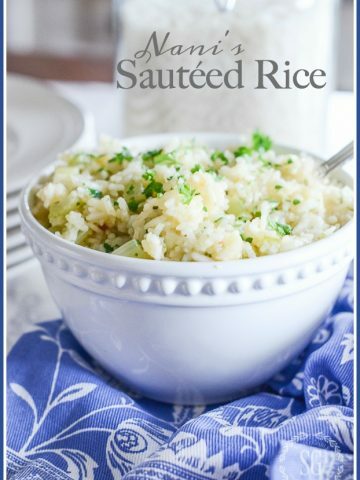 I love any kind of rice so this will be a treat! Thanks for sharing! I’ve tried several of these already and am excited to make a few more. Thanks for this delicious post! Wow, this is a treasure trove! Thank you so much, I can’t wait to get cooking. Happy New Year! Thank you so very much for the recipes! I made your loaded baked potato soup last week and it was a hit with the whole family! I brought it to my son as a treat for college exam week and it made his day. Thanks! The recipes I have tried so far are TERRIFIC… thanks!!!!!!! YUM! I got hungry just reading this today! Love your recipes, Yvonne. Please publish more of your Hungarian recipes. Do you have a recipe for Hungarian kugloaf? A cross between a bread and a pastry (sort of). My Unuka(grandmother ) used to serve it at tea time. I don’t make kugloaf. I do make halupkies and perogies. Great idea to put the recipes all together. I will definitely pin this. Happy new year and am awaiting the projects for 2017. Oh my gosh, its only 8:22 and my mouth is watering!!!! Thanks for sharing theses great recipes, I have pinned them to my Pinterest recipes, they look yummy!! Thanks so much Lynn! I love love love my pinners! How do you do it? Don’t you ever sleep? Will send you a super easy recipe for pear sorbet – as soon as I can locate it. Thanks Carol. I would love that! All in one place! Thank you! Going to the store today for ingredients for a couple of those recipes now. These recipes look delicious….thank you for sharing! I’ve seen several that I would like to make for my family. Blessings to you and your family in the New Year! Hi Lanita, You are welcome. Blessing to you too! Just printed off two more of your delicious recipes. Thanks for sharing Yvonne! I made your sugar cookies and Christmas breakfast casserole….yummy. 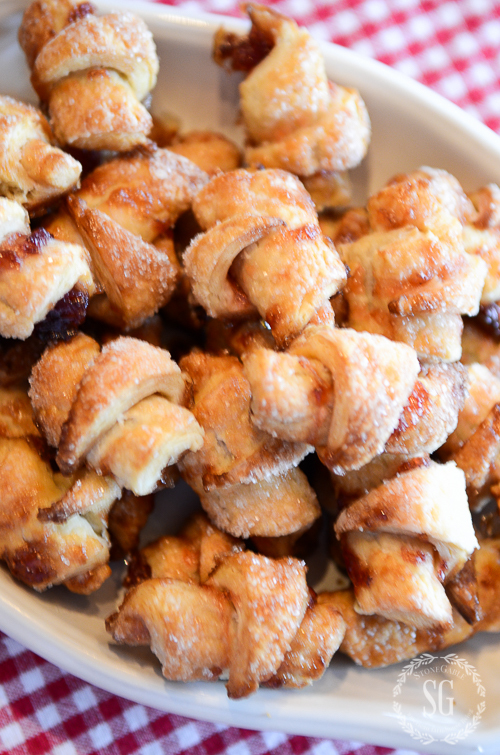 These 2 recipes are now on our favorite Christmas food list. Thanks for sharing. I’m so glad you like them. Those sugar cookies are my absolute favorite too! Thank you for the recipes. 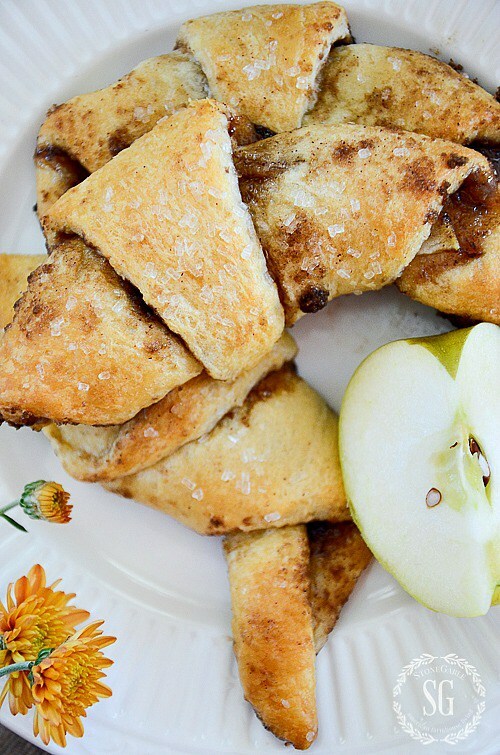 Going to be making the apple croissant bites for dessert tonight! Thank you! 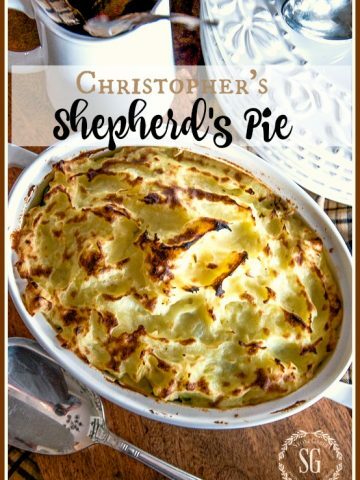 I have tried a few of these recipes and they are delicous! Thank you, Yvonne! This is like getting a late Christmas gift! I’m diabetic, but I can change an ingredient here and there in some of your recipes to make them diabetic-friendly. The Red Pepper Sauce I’ll serve over zucchini noodles, zoodles, for instance. And your photos are so tempting. I think you should do a whole published cookbook! I’d be first in line to buy it! 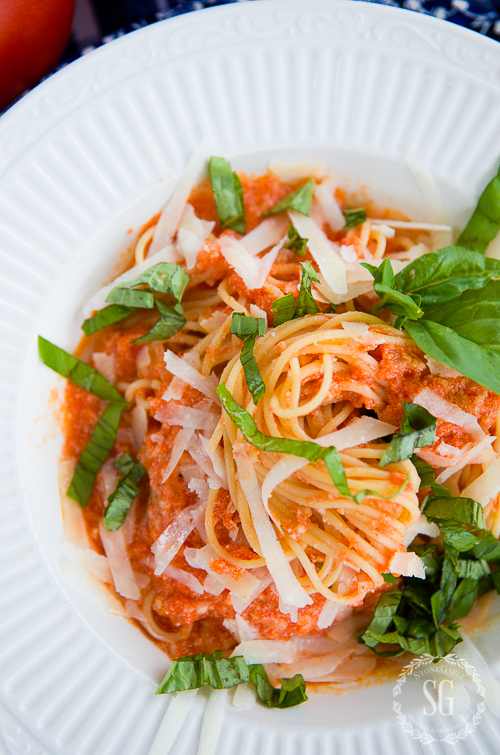 I’d love to try the zucchini noodles with the Red Pepper Sauce too! Keep the recipes coming. The ones I have tried are delicious. I look forward to your blog. Many blessings to you in the new year. Can not wait to dig into these recipes. New year and new recipes. Some of these recipes I have already tried and you are right, they are delicious. 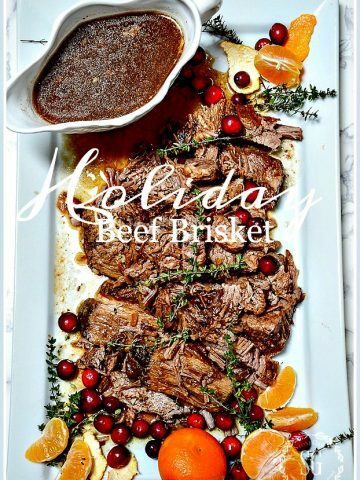 We had your beef brisket recipe Christmas Eve and our family really enjoyed it. Keep the recipes coming in 2017! From one interior decorator to another, I love your blog! Thank you so much Linda. Merry Christmas!